Several months after the opening of La Grande Épicerie Rive Droite, we followed our expert Hugues Forget down the aisles of the new Cellar. This was the chance to look back with him on almost 20 years of selecting from both small vineyards and large Houses. Discover his favourites, from outstanding brandies to food-wine pairings! Tell me about your role as Cellar Master. I came across wine when I was working in gastronomy as Maitre d' at the Bistrot du Sommelier, led by Philippe Faure-Brac. We offered a very extensive wine list, with more than 40 different wines by the glass each month! By tasting wine, I learnt to put the product above anything else, beyond the estate or the label. Following my specialisation in wine waiting, I joined the Wine & Spirits section of La Grande Épicerie de Paris. I started out as sales manager, in charge of the reception and selection of wine. With my teams, we decided to reference new vineyards that were not so popular at the time, that were low-key but very talented. We focused a lot on tasting so that we could introduce them to our clients, with whom we forged a real relationship of trust. Can you introduce us to the Cellar? Our assortment consists of approximately 60% wines, 25% champagnes and 15% spirits. Our selection is deliberately broad. We offer exceptional vintages as well as everyday wines, which is what I call “la cave du jour” (the cellar pick of the day), sold between 5 and 12 euros. These wines are a real challenge for us, because it is difficult to please every day. For this, we need to taste, understand the needs of consumers and to remain humble. For spirits, we employ our own expertise while keeping a specialist selection of rums and gins, faithful to our image. How did you compose this assortment, consisting of thousands of references? We built up the selection gradually, based on the tastes and expectations of our clientele. We continue to enrich our range regularly to offer the most comprehensive range as possible. For both spirits and champagnes, we have statutory references. For wines, seasonality and depth of range are different. We take this into account during our promotions, when we choose wines that are more generous, opulent and heady at the end of the year to accompany richer dishes. 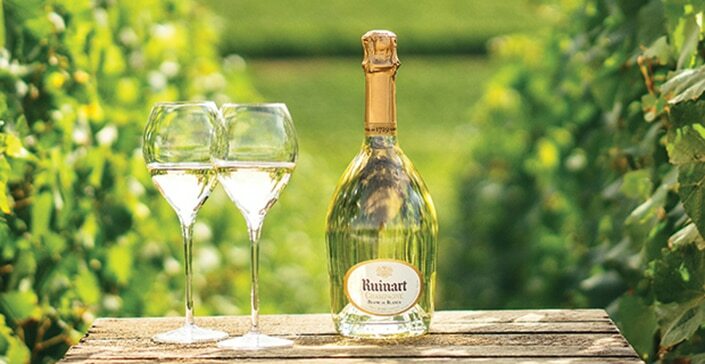 In the spring, we highlight fresher wines and summer rosés. In our cellars there are more than 200,000 bottles. We also offer fully mature wines throughout the year to our customers. An aperitif: I recommend the champagnes of the Maison Bérêche, fine and delicate wines resulting from really working the vine. Served as an aperitif, they really arouse the taste buds. Dinner with friends: I would go for a Bastide du Claux, a 2014 village from the Rhône Valley. It is a simple and effective wine that always wins unanimous support. A fish or seafood recipe: I would recommend a white Sancerre by Roblin whose slightly lemony notes pair well with salmon or Saint-Jacques scallops. Meat: As far as Côtes du Roussillon is concerned, the wines from the Danjou brothers are certainly bottles worth discovering. They combine structure and strength on the palate and go great with roast meats or marbled beef rib. A sauce dish: From the finest bottles of Côte de Nuits, I would choose the hundred-year-old vintage of the Marchand-Grillot estate in Gevrey Chambertin. It is a youthful wine that is sparkling but also more complex. I like to pair it with a roast pigeon, for example. For the Saint-Émilion appellation, I also recommend the Haut-Cardinal, a generous and rich organic wine. It can be served with a nice cut of smoked beef with vine shoots. What is an unusual reference to discover in the Cellar? Definitely the white Austrian brandy Rochelt! We were one of the first to offer it. This liqueur is made from exceptional ingredients such as Bâle black cherry or woodland strawberry. With each sip, we feel like we are actually chewing the fruit! Rochelt also produces a few unique blends such as its Williams pear, quince and woodland strawberry brandy, produced with the same care as with wine.